Hydrogen was discovered in 1766 by English physicist and chemist Henry Cavendish. Majority of the Universe's mass (75%) is comprised of Hydrogen. It is the most abundant of all chemical elements. The name Hydrogen comes from the Greek words Hydro and Gen which mean water generator. Because Hydrogen easily bonds with other nonmetals, it usually exists with other elements as a molecule instead of alone. You can find it most plentiful as water, H2O. Actually Hydrogen is the Greek word meaning water forming. The element Hydrogen is colorless, odorless, gaseous, nonmetallic element. The relative atomic mass of Hydrogen is 1.00797 making Hydrogen the lightest of all the elements. When combined with Oxygen, Hydrogen forms water. Hydrogen is extremely flammable and is used as a fuel source for spacecraft on the space shuttle. When combined with Oxygen in the air, it reacts violently and produces a nearly invisible flame. Hydrogen is the most abundant element in the universe. Hydrogen is the only element that does not contain any neutrons. It contains one proton and one electron. Because of this, it is not a part of any group or family on the periodic table. Hydrogen has unique properties that are not shared with other elements. When Hydrogen is subject to a pressure 500,000 times greater than that of the earth's atmosphere, hydrogen becomes a solid with metallic properties. Hydrogen is extremely light. In fact, Hydrogen is so light that it cannot be contained by the Earth's gravity. For this reason, there are very little "free" Hydrogen atoms on Earth. Hydrogen is commonly used in hardening of oils and fats by hydrogenation. Although Hydrogen exists as a gas under normal conditions, it can become a liquid when exposed to extremely high pressure. The two isotopes of hydrogen , deuterium and tritium are used in nuclear weapons. Hydrogen is the main source of ammonia production which is then largely used as a fertilizer ingredient. The process used to make ammonia is the Haber process. About 7.8 million metric tonnes (17.2 billion pounds) of hydrogen are produced in the United States today, enough to power 20-30 million cars or 5-8 million homes. Nearly all of this hydrogen is used by industry in refining, treating metals, and processing foods. Most of this hydrogen is produced in just three states: California, Louisiana, and Texas. Hydrogen has two variations or isotopes - deuterium and tritium. 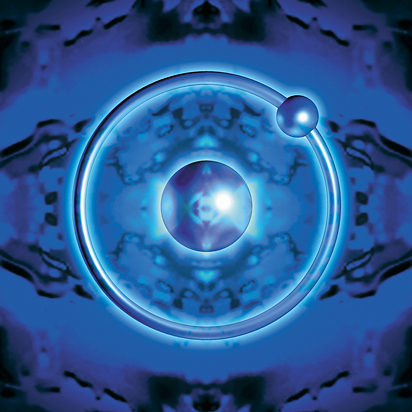 These isotopes form when there are neutrons introduced to the nucleus of a Hydrogen atom. Deuterium and tritium are both used in nuclear weapons including the Hydrogen bomb. The National Aeronautics and Space Administration (NASA) is the primary user of hydrogen as an energy fuel; it has used hydrogen for years in the space program. Liquid hydrogen fuel lifts the space shuttle into orbit. Hydrogen batteries—called fuel cells—power the shuttle’s electrical systems. The only by-product is pure water, which the crew uses as drinking water. Hydrogen can be synthetically made by many different processes. One such process is by reacting acids with certain metals. Hydrogen fuel cells (batteries) make electricity. They are very efficient, but expensive to build. Small fuel cells can power electric cars. Large fuel cells can provide electricity in out of the way places with no power lines. The gas giant planets, such as Jupiter, are mostly composed of Hydrogen. The interior of these planets contains enough pressure to produce liquid Hydrogen. Hydrogen is abundant in living matter found in plants and animals. It can be found in the form of water, of course, as well as fats and protein. Hydrogen occurs in the free state in volcanic gases and some natural gases. Hydrogen is prepared by steam on heated carbon, decomposition of certain hydrocarbons with heat, action of sodium or potassium hydroxide on aluminum electrolysis of water, or displacement from acids by certain metals.applications. The production of Hydrogen had been going on for years before it was actually discovered as an element. Production mainly came as a byproduct of chemical reactions between other substances. The cost of hydrogen depends on a number of factors, such as how the hydrogen is manufactured, but generally speaking, the cost of generating hydrogen fuel from clean, renewable electricity is initially in the range of $4.00-5.00 per equivalent gallon of gasoline. However, as volume increases and the technology is refined, the cost of hydrogen will be reduced over time. In contrast, oil and other fossil fuels are increasing in cost as global supplies are impacted by geopolitical events and are exponentially consumed. Stars, including our Sun, burn Hydrogen in the atmosphere to produce energy. The Sun actually burns Hydrogen and produces Helium. The hydrogen fueling infrastructure is growing quickly. Both California and Illinois have launched “Hydrogen Highway” initiatives that will ultimately result in a network of fueling stations along major highways and interstates. Currently there are 13 stations in California, mainly clustered around the San Francisco Bay and the South Coast areas; an additional 17 stations are anticipated in the next year or so. The California “Hydrogen Highway” is envisioned to have 170 stations operating by 2010. The option of generating hydrogen at home is also becoming increasingly available. Stuart Energy Systems has developed a Personal Energy Station (PES), which is about the size of a washer/dryer and uses existing electricity and water supplies to generate hydrogen fuel that can then be used for vehicle fuel or as stationary power. Hydrogenation is the process of adding Hydrogen to another compound in order to saturate it. This saturation helps to keep ingredients together in foods such as peanut butter which increases shelf life. Hydrogenation does result in the production of trans fatty acids which are said to be highly unhealthy. The hydrogen bomb involves a nuclear reaction, whereas the process of electrolyzing water involves a simple transfer of electrons, which also occurs when one makes a cup of coffee or metabolizes the food they eat. A hydrogen bomb cannot be made with ordinary hydrogen, nor can the conditions that trigger nuclear fusion in a hydrogen bomb occur in a hydrogen accident; they are achieved, with difficulty, only by using an atomic bomb. Hydrogen fuel cells are devices that convert the chemical energy of Hydrogen into electricity through reactions with Oxygen. Hydrogen fuel cells can be used to power electric cars and provide energy for homes. The production of these cells is very expensive, but it is expected that more hydrogen fuel plants will develop in the future. There are currently about 200 hydrogen-fueled vehicles in the United States – mostly in California. Most of these vehicles are buses and automobiles powered by electric motors. They store hydrogen gas or liquid on board and convert the hydrogen into electricity for the motor using a fuel cell. Only a few of these vehicles burn the hydrogen directly (producing almost no pollution). Hydrogen has great potential as an environmentally clean energy fuel and as a way to reduce reliance on imported energy sources. Before hydrogen can play a bigger energy role and become a widely used alternative to gasoline, many new facilities and systems must be built. We will need facilities to make hydrogen, store it, and move it. We will need economical fuel cells. And consumers will need the technology and the education to safely use it.